There is an alarming void in historiography when it comes to dealing with the Second World War: the Roma genocide. Apart from a few exceptional efforts and writings that mostly come from the Roma community, the general scientific community is united by a broad ignorance towards the suffering of the Roma during the Holocaust and Serbia in this regard makes no difference. This problem and the history of the genocide against Roma in Serbia during World War II will be discussed by Milovan Pisarri during the presentation of his study “The Suffering of the Roma in Serbia during the Holocaust”, which will be held on 26th of November 2014 at 12 PM at the Institute for Philosophy and Social Theory in Belgrade, 45 Kraljice Natalije street. The study about the suffering of the Roma in Serbia during the Holocaust was published by the Forum for Applied History Belgrade in Serbian and English language as part of the project “School of Remembrance”. 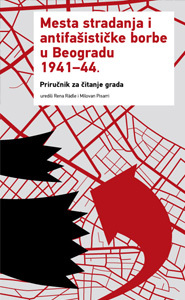 The research and publication were kindly supported by Rosa Luxemburg Foundation Southeast Europe. 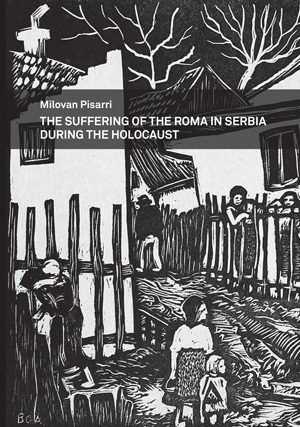 The author: Milovan Pisarri (1980) received his doctorate in history at the University of Venice in 2011. His research interests are the Holocaust, the genocide against Roma, anti-fascism and the issue of the civilian population under occupation. He publishes articles in international journals and regularly participates in scientific conferences in Serbia and abroad. He currently works as an independent historian. This entry was posted in Dešavanja, Škola sećanja and tagged anticiganizam, english, genocid, Holokaust. Bookmark the permalink.